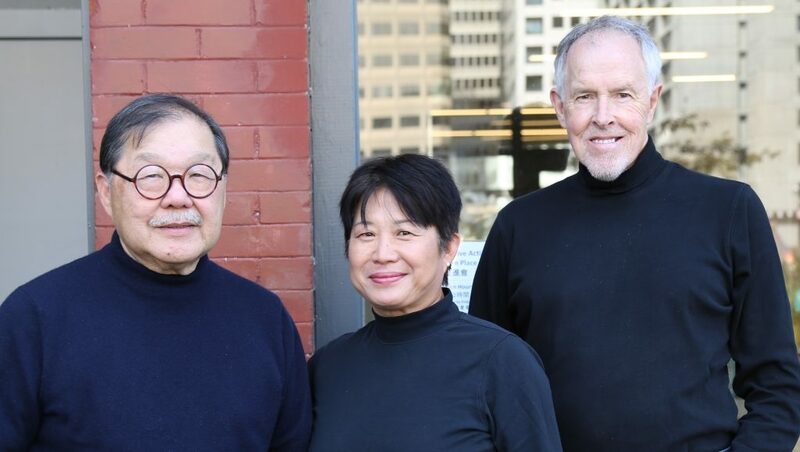 CAA is honored to recognize Chris Ahn, Larry Mock, and Ron Wallace for decades of volunteer service and commitment to civil rights, including pro bono work to redesign and renovate the CAA headquarters in San Francisco Chinatown. For over 30 years, Larry and Ron utilized their talents to improve the quality of affordable housing and nonprofit work places throughout the San Francisco Bay Area. In 1984, Larry and Ron were an integral part of the first renovations of the CAA building. They were brought onto the project by the late Phil Choy when the building was generously donated to CAA by Lien Ying and Simmone Kuo. In 2015, Chris, Larry and Ron donated their time and talent, working tirelessly to redesign CAA’s offices to improve accessibility, meet the community’s direct service and space needs, and reflect the staff’s collaborative and partnership-based working style. Their generous donation made it possible for CAA to create a welcoming home for the Chinese immigrant community, activists, and social justice leaders for generations to come. To pay special tribute to Larry, Ron, and Chris and their legacy of service, please join us in honoring them at our Celebration of Justice on June 8th. You can purchase tickets here, buy an ad and/or become a sponsor in their honor (more info here).